First on Media Newser Philippines: Nancy Irlanda is set to return to the ABS-CBN News Channel, Media Newser Philippines has learned. The veteran business news journalist will rejoin the network where she got her first big break beginning this month. Before signing a deal with ANC, Irlanda was in talks with Bloomberg TV Philippines to join the business news channel's on-air team, but a deal between the two parties didn't materialize. "She was phenomenal!" says our Bloomberg source. "From the moment she did her audition, we were all in awe. Too bad she is not joining us." 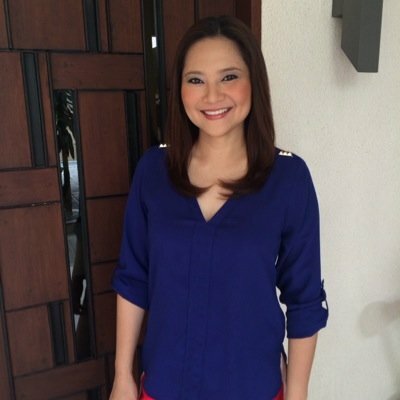 Irlanda was among the lead anchors of the Kapamilya news channel before she joined Solar News in 2012, where she became the anchor of the highly acclaimed Solar Nightly News. Under her leadership, the newscast became a formidable competitor to Jessica Soho's State of the Nation, and even received a special citation from the Catholic Mass Media Award for its coverage of the aftermath of super typhoon Haiyan. Most recently, Irlanda became active in business development via Sta. Elena Construction and Development Corporation.